BROADBEACH, QUEENSLAND, Australia—Nov. 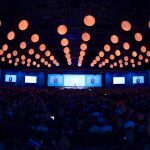 10, 2008—In an effort to further educate independent financial advisory firms on “going green,” Laserfiche® today announced its first-ever sponsorship of the upcoming Financial Planning Association (FPA) 2008 National Conference in Australia. The conference, which provides leading educational and professional development opportunities for financial planners, will be held at the Gold Coast Convention & Exhibition Centre from Nov. 18-21, 2008. 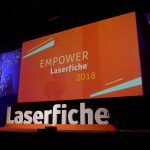 Laserfiche will emphasize the importance of an EDMS and business process management (BPM) as a means for firms to simultaneously move beyond paperless offices and become digital and more profitable. Additionally, Tim Welsh, CFP, president of Nexus Strategy and Laserfiche financial spokesperson, will deliver a presentation on simple, cost-effective tips for financial advisors to green their offices. Welsh will refer to his latest work, “Going Beyond Green in Australia While Building a Sustainable Advisory Business,” written in conjunction with Louise Barnes, a senior consultant at Fire Up Consulting LLC. The article addresses the benefits of implementing sustainable strategies in the workplace. In addition, Welsh will offer advice to financial advisors on succession planning for their firms.